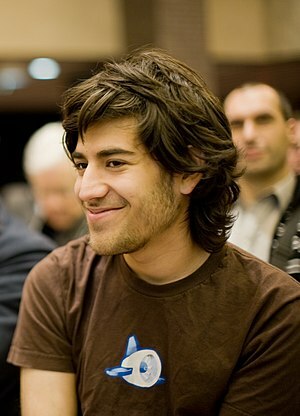 There has been a lot of posts in the blog sphere about depression and the recent suicide of Aaron Swartz and. Brad Feld wrote about his struggle with this in “Are Entrepreneurs more prone to Depression and Divorce?” and I saw a post this morning by DARIUS “BUBS” MONSEF with the title “If you ever feel alone in this…“. I have to admit I have been through these phases many times myself. This is a serious problem for Entrepreneurs and I wanted to draw attention to this issue. I tend to write more about topics like strategy or business activities focused, all that amounts to hill of beans if the most important resource of all…i.e You the Entrepreneur are struggling inside. I did; I do and I am and have been learning to cope with it. Darius’s post really hit home to me and I had been meaning to write about Aaron for a while but never got around to, anyways better late than never. Depression is a serious problem within the Entrepreneurial and Startup founders. I read an article in pandodaily.com about the depression “why many entrepreneurs are privately suffering, and what to do about it“, it was good description of the problem and strategy on what to do about it. I don’t have any silver bullet, but I can talk about what I do when I go through these phases and maybe those strategies could help you. I remind myself about all the love there is in this world, people doing total selfless acts of kindness and the saints and great men and women who have sacrificed themselves for the betterment of others like Mahatma Gandhi, Mother Theresa, Dr. Martin Luther King, Nelson Mandela etc I am sure they all went through challenges far greater than what you and I face and they were able to beat the demons so can we. Run – running has really changed my perspective on what a human mind is capable of, because running is a shear act of will and that is why I run Marathons. Watch motivational videos, try searching for it on YouTube some are really good. Try these things if you believe you have a problem, also note you are not alone… you can always reach out to me whoever you are through the comments section here and I am very good on email (drives my wife crazy but you got to do what you got to do…). Thank you for raising the issue, and for all that you’ve been doing to support the startup community here in Iceland. What you do matters to a whole lot of people with a whole lot of bright and beautiful dreams. Thank you David appreciate your comment.